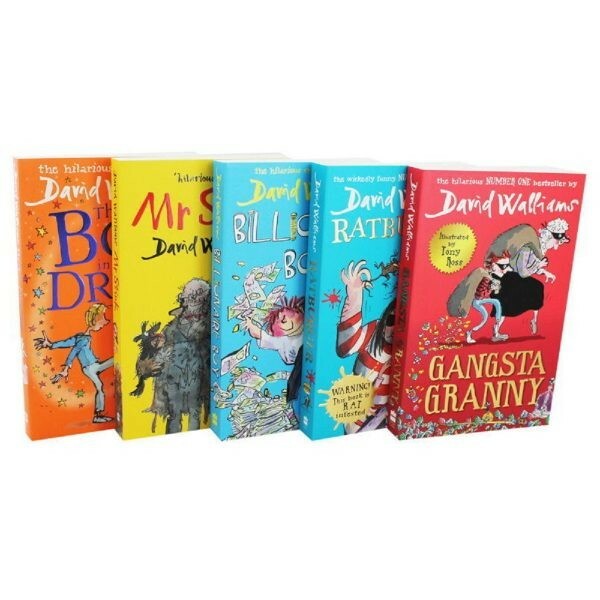 Kids aged 8 years old and above will love to read this David Walliams best selling novel. Add this mega box set features five hillarious novel story to your superb collection. 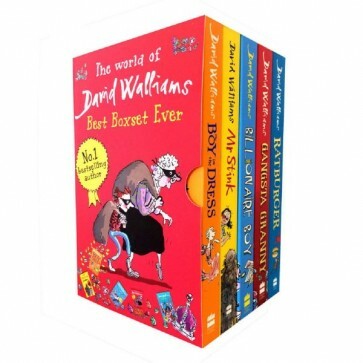 5 novels from bestselling author, David Walliams, in one MEGA Collection box book set! THE BOY IN THE DRESS: Dennis was different. Why was he different, you ask? Well, a small clue might be in the title of this book. MR STINK: Mr Stink stank. He also stunk. And if it was correct English to say he stinked, then he stinked as well. BILLIONAIRE BOY: Joe has a lot of reasons to be happy. About a billion of them, in fact. He has absolutely everything he could possibly want. But there’s just one thing he really needs: a friend. GANGSTA GRANNY: Ben’s grandma is the boringest grandma ever: all she wants to do is to play Scrabble and eat cabbage soup. But there are two things Ben doesn’t know about her. 1) She was once an international jewel thief. 2) All her life, she has been plotting to steal the crown jewels, and now she needs Ben’s help.